You are here: Home › Does Your Cat Have Feline Diabetic Neuropathy? Does Your Cat Have Feline Diabetic Neuropathy? Feline diabetic neuropathy is the loss of nerves particularly in the legs due to hypoglycemia. This is from damage caused by high levels of glucose in the blood that damages nerves over time. The symptoms include weakness, pain, tingling, and paralysis. These can be seen in a cats hind legs becoming weak or the cat not moving as much as before. Often this is ignored by the owner as a symptom of an aging cat. The loss of the feeling (or the pain) in the legs will make the cat limp along and no longer jump. Diabetic neuropathy in dogs is less common but does happen and is seen by the dog’s legs becoming weaker or becoming unusable. But the good news is, it can be reversed with the right treatment in the early stages of its attacks on the nerves. With the proper diet and exercise with methyl-b12 a cats diabetic symptoms can be reversed. This condition destroys the nerves by blocking the capillaries that carry the nutrients to the nerve cells starving them to death. The supplement methyl b-12 works by rebuilding the nerve cells in the nerves, restoring the signal between your cat’s brain and the weakened muscles. It is a very safe vitamin to give your cat, it’s water soluble, which means your cat will pee out what they don’t need and it has no side effects. Studies have shown that other B-12 vitamins don’t work as effectively. Though feline diabetic neuropathy is reversible it must be caught in the early stages of its damage. The time usually that it takes is 6-12 months to fully reverse any damage done to the cells. If your cat begins to limp and never gets better, a trip to the vet is needed to protect your cat and improve its comfort and quality of life, giving you many more playful years with your favorite animal. Plenty of exercise and a healthy eating plan is best for you animals as well, to manage feline diabetes. 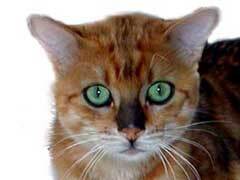 Cats with Diabetes Life Expectancy. Every cat is different – but very often, your pet can have a happy and healthy life as there are treatment options for Diabetic cats. We have heard of lots of diabetic cats reaching the age of 18 years or more and are still happy and healthy! Diabetic Foot Massager - Essential Item!